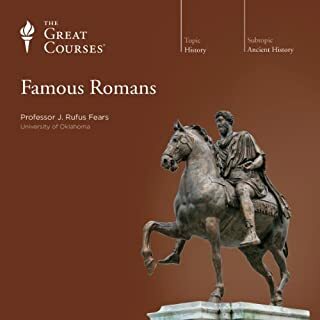 These 24 lectures retell the lives of the remarkable individuals - the statesmen, thinkers, warriors, and writers - who shaped the history of the Roman Empire and, by extension, our own history and culture. 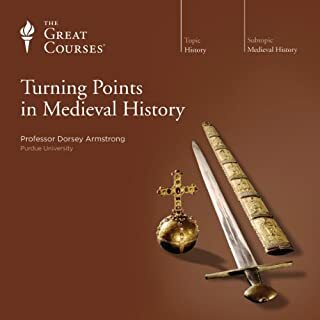 Professor Fears divides his presentation into three "turning point" epochs in Roman history: Rome's war with Hannibal (the Second Punic War); Caesar and the end of the Roman Republic; and the imperial era between Augustus and Marcus Aurelius. To examine the core of the world's greatest myths and tales is to confront some of history's most basic human truths. 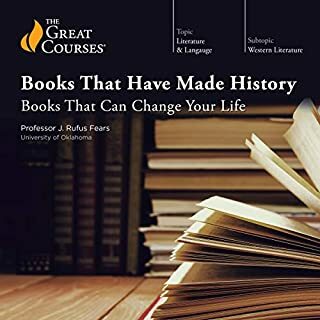 These 36 captivating lectures comprise a powerful work of storytelling prowess and historical insight, exploring events and individuals that so gripped civilizations, they transcended to the level of myth and played an important role in shaping culture, politics, religion, and more. 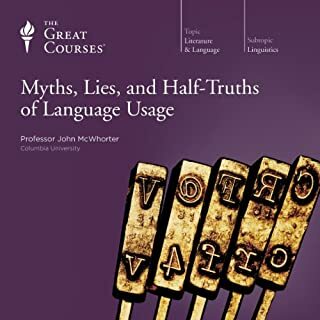 Looking at myths from ancient Greece and Rome, from the Near East and the Middle East, from early and modern Europe, and from the United States, Professor Fears shows how myths convey higher truths too profound to be described in ordinary language. Decoding them, Professor Fears reveals how they serve as enduring sources of wisdom. For example, the rich tapestry of supernatural events in the Epic of Gilgamesh provided support for Mesopotamian politics, including the need for a divinely appointed kingship. The furious battles in Beowulf played an important role in cementing Germanic ideas of courage, heroism, glory, and honor. And the dramatic last stand at the Battle of the Alamo emphasized for Americans that liberty is worth any price. The search for wisdom is one of life's great purposes, and there is much wisdom to be gleaned from the world's great myths. 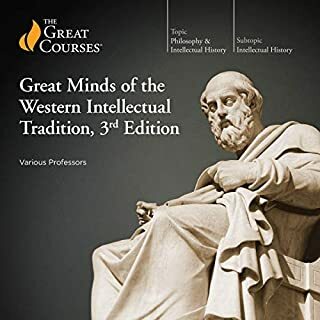 By the final powerful and stirring lecture of this course, you're sure to find yourself wiser than you were before you started. J. Rufus Fears is no doubt a great storyteller with a charming voice and the narrative skills to match. 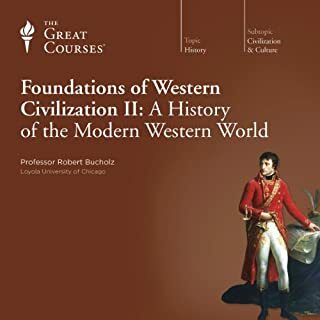 This course fell short for me personally because of his own political and religious leanings... there was a vague sense that the professor was trying to whitewash problematic events in history and instill his own personal justifications for things. On discussing the genocide of the natives of America for example, he mentions that it is something we find horrendous today, without really mentioning how horrendous it was at the time. You get the sense that it is really something American academics do not want to go into too much detail about. Then again, maybe that isnt the point here. But many of the myths used relied on the perspectives of imperialists and oppressors. Talking about Ronald Reagan, he mentions the Libyan war as being an example of a positive action on the part of the American government. Which is absurd if you understand the truth about what really happened in the 'Libyan War'. Perhaps this isnt common knowledge but it doesnt take much research to see how misleading that was to the American people. Tyrants seem to exist 'somewhere else'. Never on the home front, and rarely due to systematic corruption or oppression. Israel is the only democracy in the middle east, yes sure, but there is no mention of the continued oppression of the native population of that region, just as in the United States today. It made me wonder, if this is what the professor believes is true, then what other bias' does he have? It may be a small point to some, but it stood in my way personally of enjoying an otherwise great series. Throughout the history of mankind myths have given us our higher. 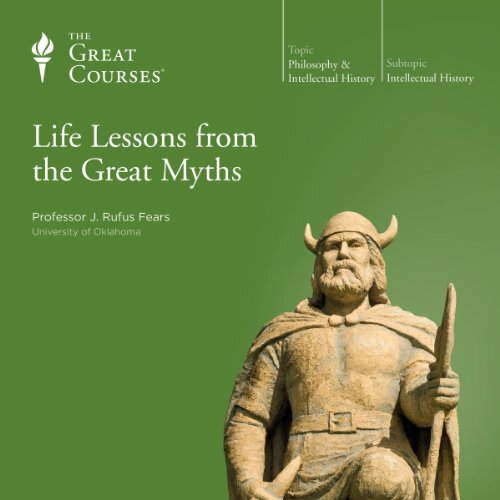 In this wonderful series Professor J. Rufus Fears looks at a number of these myths and examines what they meant in their own time and what they can teach us today. The myths in this series cover the entire period of Western Civilization. From Gilgamesh and The Bible all the way through the Greek and Roman periods, the Medieval period, and up to our own times. Fears examines the kernel of truth in many of these myths and shows that most have some form of history behind them. He also shows that these stories convey truths that can serve in our own time. This means that while there is some history in the myths we shouldn't get bogged down in debating every historical fact. Instead we should look at what truths these stories convey and learn. I am sure that there will be those who object to Dr. Fears' selections. They focus entirely on what we call the Western Tradition. 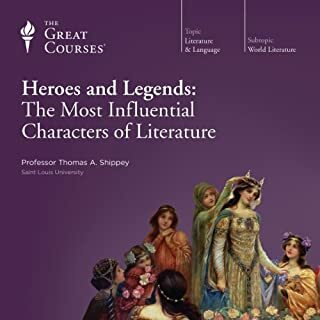 Of course this encompasses nearly four thousand years of literature and history that spans the Middle East, the Mediterranean, the British Isles, and North America. These myths are the myths that inform us in the modern world. They contain the wealth of a cultural heritage that we ignore to our own poverty of mind and spirit. Throughout the course there are a number of themes that Dr. Fears draws from these stories. Some of them are intended to resonate deeply with the audience in our own time. On multiple occasions he discusses the problems associated with pre-emptive war, particularly in the Middle East. Perhaps the American leadership and the American people could have avoided many of the mistakes of the past decade if we had spent more time reading the classics and less time on other subjects. He shows us the importance of following your dream. This is true of the characters in the myths as well as those who pursued the study of these myths. 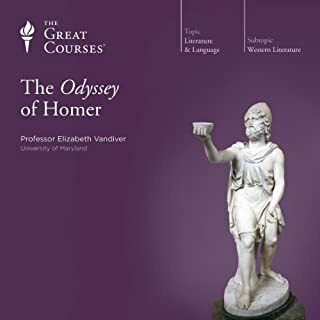 On several occasions he points out the intrepid amateurs who ignored the "pot-bellied" professors and found Troy, Knossos, Mycenae, and other locations deemed as mere fantasy by the experts of their time. This is just one sample of the dry humor that he shares. Personally I found Dr. Fears speaking style to be quite enjoyable. With his soft Southern accent and the subject material he often reminded me of a preacher delivering a classic sermon that would be discussed in great depth after church. I have read myths since I was a very young child and have always enjoyed them. In college I majored in history and took as many English courses as I could. There I saw first hand what damage has been done to our culture in the university setting. History and Literature studies no longer examine the higher aspirations and truths. Instead, History has become a dull plodding world of sociologists. 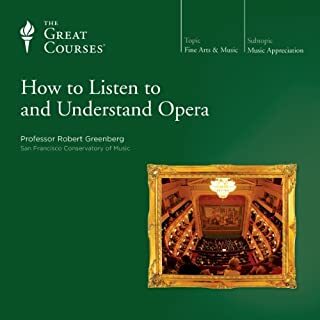 There are notable exceptions, as the Great Courses show us. 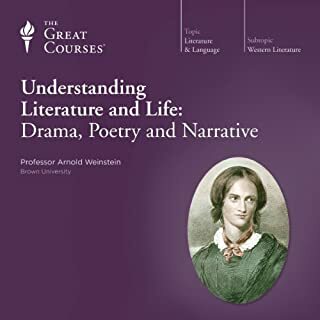 Literature studies have fallen prey to the post-modernist and the Freudian. It is refreshing to find a professor who still remembers that our stories, whether we call them history, legend, or myth, are what make us truly human. I plan to get everything I can find by Professor Fears and I hope that you will as well. Every chapter is a new adventure. 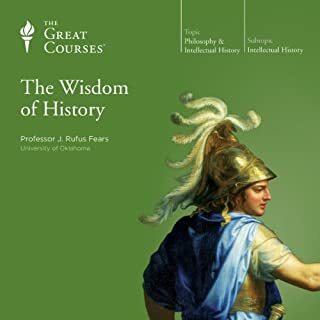 I would recommend listening first to his books on ancient rome and greek. This guy is a master storyteller. I recommend coming in with an open mind and thoughtful on the lessons of each myth. I will continue to listen and finish i books by rufus. Cheers! If you could sum up Life Lessons from the Great Myths in three words, what would they be? Provocative and relevant in the world today! 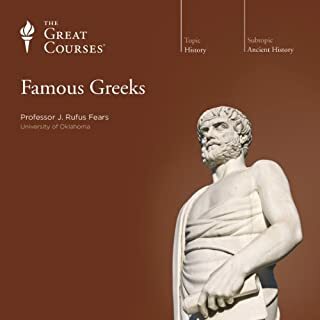 Have you listened to any of Professor J. Rufus Fears’s other performances before? How does this one compare? They are all entertaining, informative and pertinent. so many situations were moving! Amazing story telling and linking together ideas from ancient history to recent past. Wonderful stories and what we learn from them! 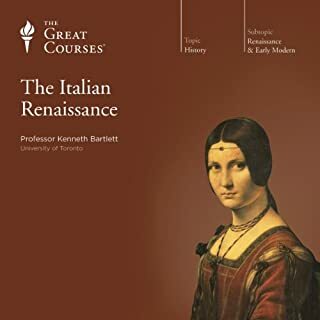 I listened to this as a part of the Crash Courses Mythology thing. At first I thought it would be a nice summarization of the things I learned from the other courses. However, it derails so completely from Classic Myth and World Myths that I am uncertain where Professor Fears gets his information from. 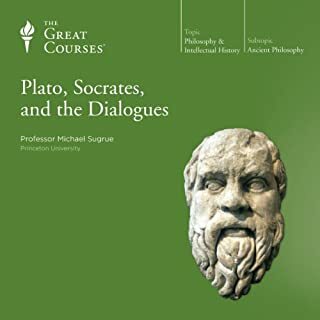 At first Professor Fears speaks at length about the Iliad and its status as a Great Book and the higher knowledge we receive from reading it. For instance, he claims that one of its major lessons is how terrible hubris is - thinking you know better than you actually do, and acting accordingly. He also says that the Iliad contains a "historical kernal of truth" - this will be an ongoing pattern. Later he goes in some detail about a few other myths like Gilgamesh, but about halfway through the series he stops talking about ancient myths and begins talking about actual historical figures like Alexander the Great and Napoleon. 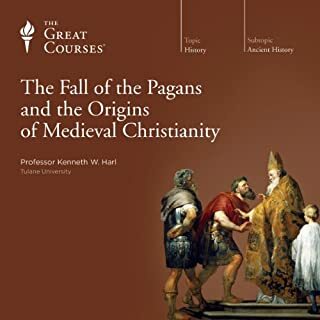 The link between mythological truths and historical facts weakens until the professor is simply lecturing about the history of the United States without mentioning any mythology or stories at all. 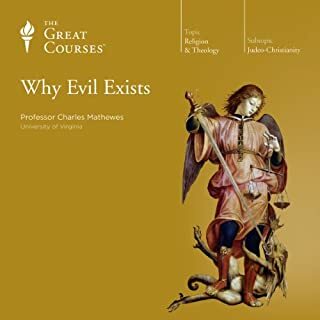 One thing in particular that bothered me was that he makes a point of putting his personal views into the lectures which have very little bearing on the overall lesson. For instance, he claims that American culture will never die (in the form of rock and roll and McDonalds), and refers to any mention of Christianity as "right" and any mention of previous religions as "what they believed". I felt this glorification of his personal beliefs got in the way of the actual lessons, and made it more difficult to see what he was actually trying to teach. Overall, I do not recommend this series if you are looking for a good introduction into mythology. I began listening to J. Rufus Fears in 7th Grade. He is excellent. His narrative form makes it easy to remember. This could have-- SHOULD have-- been a fascinating discussion on how mythology is still relevant in much the same way Aesop's fables are. The first few segments did well enough, but when you listen carefully, you start to hear nuanced terms being used which hint at a certain (faith-based) bias. Sure enough, once he gets to discussing Genesis and Exodus, it becomes apparent that he takes Judeo-Christian myths more or less literally, which removes this from an academic discussion and renders it basically a Sunday school lesson. I don't mind that he has a personal preference; I do mind when he dismisses science in favor of bronze-age fables. I do love the source material and the lecturer was animated and it felt like you were there sometimes. But the problem I had with him was how incredibly biased he was. If you're a Christian and think America's "manifest destiny" you will love him. However if you're not there are going to be some things that get you yelling at your phone. For instance he is fine taking stock of other gods from Loki to Zeus but the Christian god gets a pass despite things like calling for the death of a child like Agamemnon and Abraham saying one is merciful. It goes on and on. It's easy enough to ignore I suppose but I just can't put my support behind it. And this coming from an American so who knows how annoying it would be to other country's citizens on average? 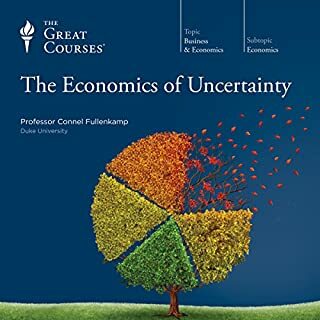 I have heard all of his lectures on audible and I recommend that you heard them to. I believe that the highest praise I can get is what the title of this review says. - the point of view is very explicitly US centered, religiously, philosophically and culturally. Being French, this doesn’t always resonates with me. 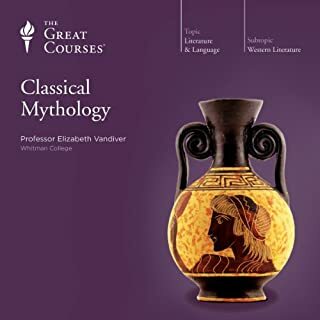 - the tale of famous myth can be interesting but it lacks some kind of perspective, either cultural with a comparison with some other mythology, or philosophical (as the title hints to) with an explanation of the behavourial implication. This is a great course, but I have to say I am a little disappointed considering the price.